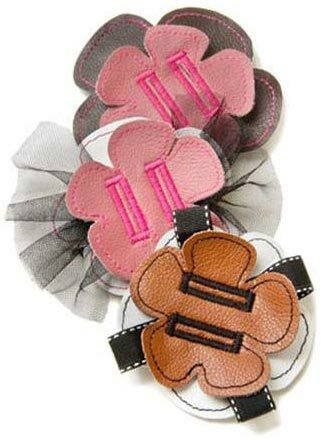 This pink suede collar will look spectacular on your dog! 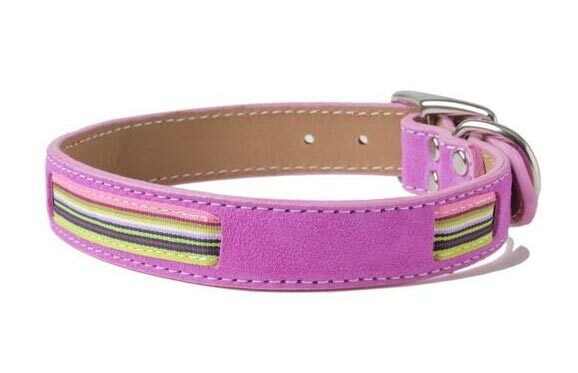 Interwoven with navy, yellow and white striped grosgrain ribbon, this Peek A Boo pink suede collar is cuter than ever! Pretty pink suede is double-layered for sturdiness and safety while the beveled, hand finished edges make for an extra comfortable fit. Made in the USA. 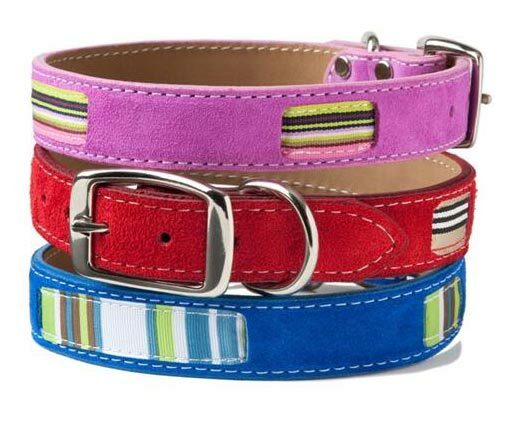 Buy online: leather dog collars, designer dog collars, ribbon leater dog collars, handmade designer dog collar & leash sets from Bookie and Belle Collars USA.